Granite House, a new central Liverpool property investment opportunity offered by One Touch Property, is well-placed to accommodate the growing demand. Voted as the European Capital of Culture in 2008, and having received substantial investment ever since, it is no surprise that students are making universities in Liverpool their first choice. The student population has increased so much over the years – up 20% in 2017 compared to the previous academic year – that it currently sits at just under 60,000. 60% of them require rooms in the city. 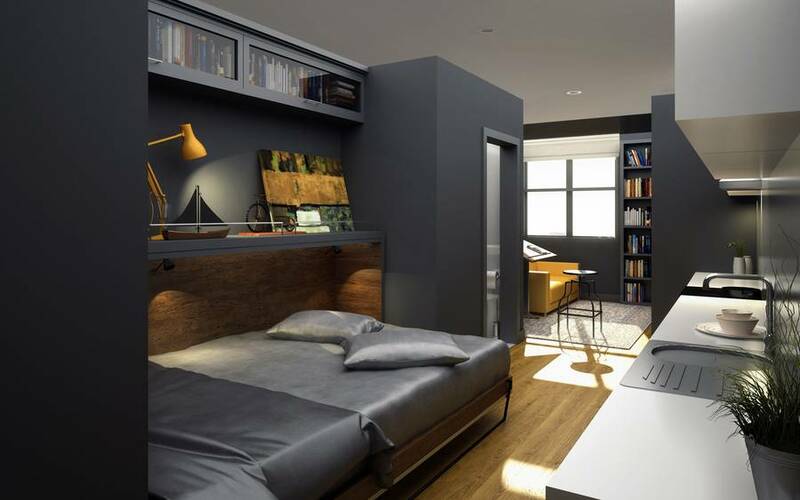 Of course, this has lead to increased demand and fiercer competition for rooms as well. According to The Mistoria Group, demand for student accommodation in Liverpool increased by 35% in 2017, and there are approximately 6.6 people applying for each room. These positive fundamentals have lead developers to recognise the benefit of building student property in the city. One Touch Property are pleased to reveal their latest exclusive Liverpool student property investment opportunity, Granite House. Granite House is a distinguished Grade II listed building on Stanley Street in central Liverpool that will be renovated so that its unique original features will be reinstated. The development will comprise 39 high quality studios with en-suite bathrooms and integrated kitchens. Communal facilities such as a gymnasium, study and breakout areas will also be provided. Granite House is located near to many of Liverpool’s university campuses (the Liverpool John Moores Copperas Hill campus and Liverpool Hope University campus are less than a mile away). Not only is it close to university campuses, but students who decide to have a night out in Liverpool will not have a long journey home, the Cavern Club is on its doorstep, as are a host of other nightclubs, bars and pubs. For those who prefer to spend their downtime in a calmer manner, there are plenty of museums to explore and theatres close by. Investors are able to purchase a unit in this L1 student accommodation development from £69,303, and an 8.3% rental yield is assured for two years. What is more, investors will start generating income from as early as September 2018. As the building will be fully managed, it will suit the busy investor who cannot spare the time to oversee every day maintenance of the facility. Contact One Touch Property today at enquire@oneetouchinvestment.co.uk or 020 3709 4275 to learn more about this fantastic investment opportunity and the strength of the student property investment sector in Liverpool.